Michael Ferreira returns to NWWT to explain his step by step method for his unique color finishes. He will show pieces of his work at several stages of completion and walk us through a typical process. 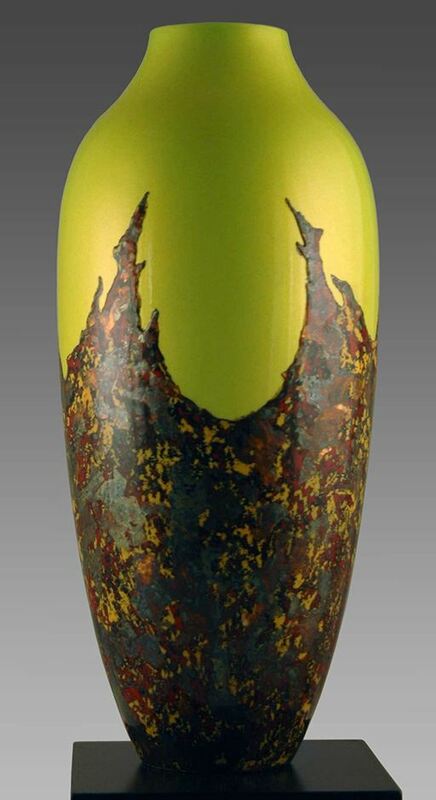 People who see his work often mistakenly think they are glass or glazed ceramic and ask "How did he do that?". We will find out at our meeting. A resource document is located under "Member's Only" Documents. See more of his work at www.visionsinwood.com. Michael has been designing art for over 25 years. After completing an industrial arts program at Palomar College at San Marcos, California, where he created some award winning furniture pieces, he began creating museum quality reproduction furniture, mainly 18th century American. 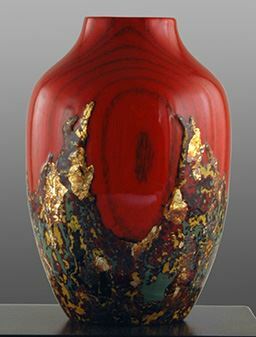 At a much later date he became fascinated with contemporary design, and changed his focus from furniture to creating art from wood in a very different way. Over a ten-year period the addition of color became dominant in his work. Wood, for Mike, has become a means to create a shape in sculpture as an underlying basis for his art. Color has become the impetus for the art itself. His work resides in galleries throughout the US, as well as other countries including Canada, Australia, Europe.